Recently I have been reflecting on the year and writing about some things to consider for next year like a few Google Tools or , as in yesterday's post, Applications that will break out next year. Today I just want to highlight a 4-part series I did back in Late October/Early November on The Essential Tools For The Connected Teacher. There are some tools that educators need to embrace and learn how to use both in and out of the classroom. Each of the tools on these lists have some value either with students or for professional development. I encourage you, as part of a professional resolution for the coming year to investigate these tools. If you are already an expert, pass along the list to someone who isn't and perhaps resolve to take that educator under your wing and work with them this year. Tools For Communication- In this post I highlight class websites, blogs, RSS readers, and Drop.Io for enhancing communication in and out of the classroom. Tools For Collaborating With Students- Here I discuss Google Docs, wikis, Edmodo and Social Bookmarking as ways to promote collaboration with and among students. Tools For Collaborating With Professionals- Learn about how Twitter, Ning, Skype and Google Wave can all be used to connect with and learn from other educators. Tools To Create- See how easy it is to create a multimedia-rich classroom with Animoto, podcasts and Voicethread. Remember to take it slow. Take one series and focus on that for a while. 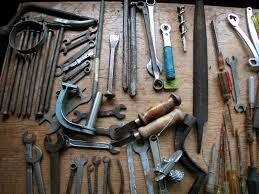 Don't try to integrate and use all these tools at once, you are doomed to fail. Rather, pick the ones you can see easily fitting into what you are already doing and grow from there. Are there others you would add to the list? What would they be and why. Leave me some comments below! Steven, thanks for the resources. Your classification system "communication, collaborating with students/professionals, and create[ing]" help provide common points for discussions with faculty. I'll definitely look at these for some professional development ideas. I agree with David. The organization is great. Finding ways to make the amazing resources accessible and not overwhelming is so important as we try to convince others to use them. I will definitely be using this! The tools suggested by you for communication is truly great and i am sure that many people will surely like it. It is really great to know about all these things.